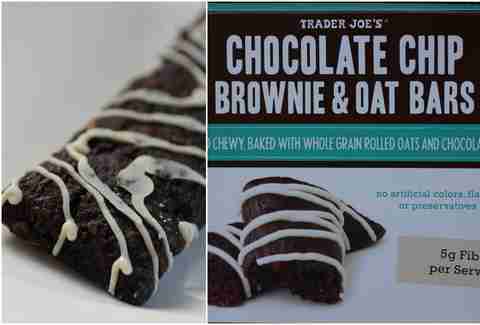 Why it should be in your pantry: These taste a little like a Cool Mint Chocolate Clif Bar that's been redesigned for someone who doesn't want the snacks they eat to have any health benefits. It's super-moist, like a brownie just out of the oven, and it has all the chocolate flavors a person could want. 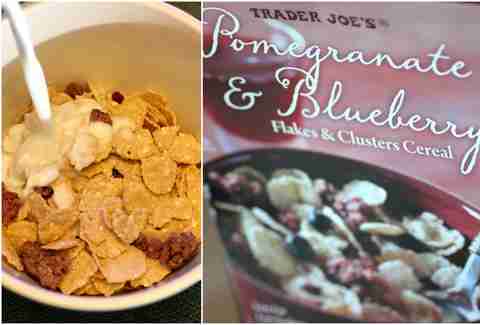 Why it should be in your pantry: Everyone loves Boo Berry, but for a more upscale take on the cereal, go for what we think is one of the best cereals on the whole darn market. It tastes sweet without being overly sugary, and it's packed with freeze-dried blueberries. 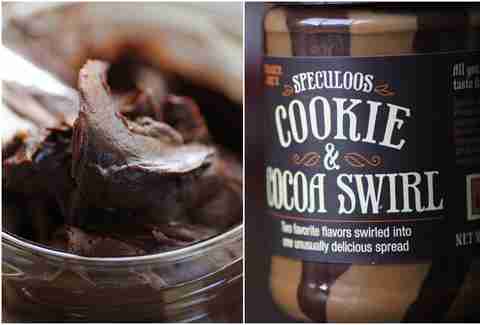 Why it should be in your pantry: This is like Nutella without the hazelnut, which is to say it's a chocolate bomb perfect for spreading on every breakfast food except eggs. 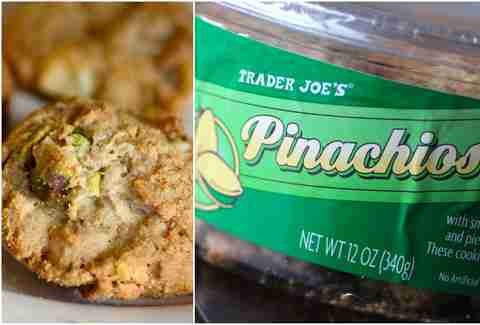 The product's label suggests spreading it on a cookie and putting another cookie on top of it, a proposition that left a look of (diabetic) shock on our face. Why it should be in your pantry: White chocolate and pistachios combine in a snack that hard cookie lovers should empty their wallet for. Soft cookie lovers should continue to buy snacks made by creepy Keebler elves. 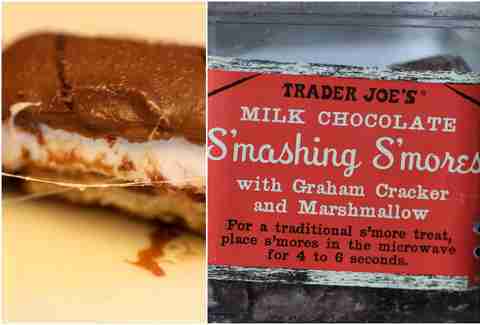 Why it should be in your pantry: By far the best snack TJ's has to offer, these take only six seconds in the microwave for you to be inhaling a gooey marshmallow and graham cracker treat. Who needs a campfire? Or a group of friends, for that matter? 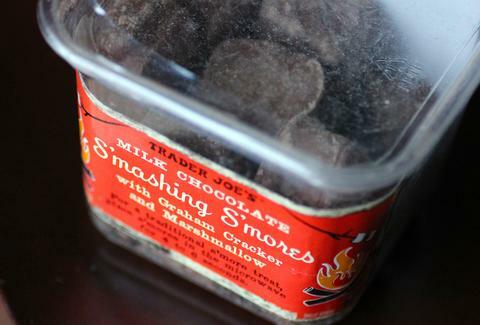 Friendship is temporary, but these s'mores are forever... as long as you keep buying them. 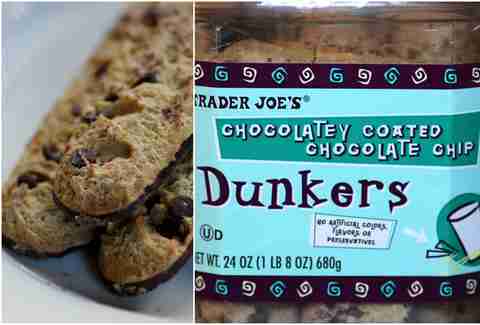 Why it should be in your pantry: A perfect companion to your next cup of coffee, these Dunkers are a real SLAM dunk in the taste category, if we may use a super-insider-y basketball reference! But seriously, we'd take these over biscotti any day. And there's approximately a million of them in every plastic container.